And, now Digvijay Singh has gone hoarse, claiming Sri Sri has a political agenda and he is Team C of RSS. 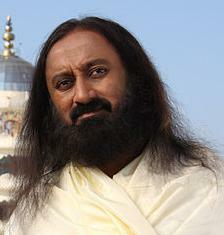 Does Sri Sri have no political agenda? Or is he a part of RSS pantheon? Surely one can guess that Sri Sri may not have attended the Shakha bauddhiks (intellectual sessions conducted in RSS branches, known as Shakhas) and might not have worn khaki shorts and saluted the saffron flag in RSS shakhas. But yet, Sri Sri is surely a part of a scheme to influence electoral politics. Having said that, let’s understand that electoral politics is not the only form of politics influencing the society; it is also done by social movements and awareness programmes. A Malayalam magazine, "Padam" edited by (late) Prof MN Vijayan, a well known social critic, once described Ravishankar's Sudarshanakriya business as the "Fart of Living"! How true!